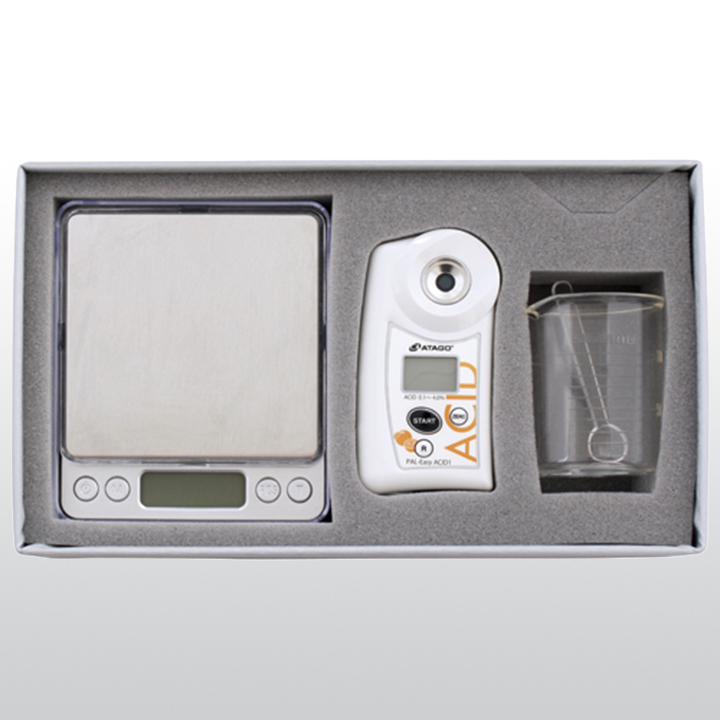 Product information "ATAGO PAL-Easy ACID F5 Master Kit (Multi Fruits)"
The PAL-Easy ACID F5 pocket acidity meter measures acidity level in citrus, grapes&wine, tomatoes, strawberries. The PAL-Easy ACID F5 meters are uniquely designed with a specific scale best suited for the sample it is measuring. The refractometer measures the total acidity in a sample and convert it into either citric, tartaric, malic, acetic, or lactic acid concentrations, depending on the unit. PAL-Easy ACID F5 Master Kit is complete kit dedicated for multi fruits (Including measuring spoon, scale and beakers). Related links to "ATAGO PAL-Easy ACID F5 Master Kit (Multi Fruits)"